What did Nintendo have to share at today’s press conference event for E3 2010? Well, I’m glad you asked. Here are the highlights, after the jump! Dang! Right off the bat, Nintendo opens up with The Legend of Zelda: Skyward Sword, a brand new (grown-up)Link adventure for the Wii. This time around, raising the nunchuk raises the shield, and you use the Wii-mote to attack with the sword. The game is colorful and vibrant and quite beautiful to look at it. The control scheme seems like what Twilight Princess should have been, finally realized. The Wii Motion Plus was having major issues during the demo, though. Regardless, seems like it could be great fun. Coming in 2011. 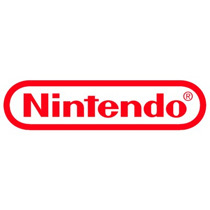 Looks like 2011 is going to be a big year for Nintendo. They also debuted Mario Sports Mix, which has the plumber showing off a variety of sports skills including basketball, volleyball, hockey and dodgeball. Wii Party is coming this holiday. It’s another Mii title like Wii Sports, only built around 13 different party games. This game is going to blow the roof off in terms of sales. Also, Just Dance 2. Nintendo continues to print money. Golden Sun: Dark Dawn announced for this holiday season on the Nintendo DS. I’m not familiar with this series, but it seems like a pretty cool handheld RPG. Lots of good top down RPG puzzling and some fun looking battles. Now the big guns: Goldenye confirmed for the Nintendo Wii. The trailer they showed off brings a return to the multiplayer modes of old, but the graphics still look painfully last gen, though slightly updated. Part of me cynically thinks that this won’t live up to the fun that I remember it being, but another nostalgiac part of me says I still want to play it. Again, coming this holiday. Next up came Epic Mickey, a Wii exclusive game we’ve been hearing little snippets about for months now. The game actually has a really cool style to it, almost looks like the old cartoons. Hard to make out exactly what the gameplay is going to be, though it’s built around painting/erasing the world. It seems almost like Kingdom Hearts in one of the demos, but the next Steamboat Willie themed level looked to be in 2D like an old Mario platformer. Definitely interested. A new 2D Kirby title was announced called Kirby Epic Yarn. The game looks like it was sewn together, literally. Not sure how I feel about the design, but it’s definitely unique, and seeing Kirby unzip parts of the world was a nice touch. Everything looks like fabric and yarn, etc. Cool idea, but I’m wondering if it’s a gimmick that would wear thin by game’s end. Seems like it would be more suitable as a DS game. Looks like Dragon Quest IX is finally getting its North American release, July 11. You can play with up to four other friends, and tackle up to 120 mini-quests. Granted, we might already know this, but nice to know it’s finally hitting our shores next month! This game was stinking huge in Japan. And now, launching off the big hit of last year’s E3, Nintendo revealed a brand new Metroid: Other M gameplay montage, which showed off lots of morph ball rolling, huge boss battles and all kinds of 2D/3D platform battling. It reminds me a lot of Shadow Complex, which is natural, since that game took the Super Metroid formula and gave it a more modern treatment. It releases on August 31. As rumored, Retro Studios (creators of the Metroid Prime series), arrived on stage to reveal the new Donkey Kong game, titled Donkey Kong Country Returns. It looks like a straight up high-res remake of the old Donkey Kong Country kind of games from the SNES days, complete with Diddy Kong, sidescrolling, mine cart levels and cannon barrels. This seriously looks like a blast (pun intended), and it’s out this holiday. A “surprise” that’s not a surprise at all but still cool: Nintendo debuts the Nintendo 3DS. I have to hand it to them, I like that their promotional material is built around the idea that people hate wearing 3D glasses. Honestly, I don’t want to have to wear any to play games. It’s got two screens, an analog stick, two outside facing cameras, and is blue and black. Looks hot. You can also watch 3D movies. I really want one of these. Here was the most impressive part of the show: one of the big titles is going to be a Kid Icarus 3DS game called Kid Icarus: Uprising. OK, now I’m really interested. The trailer is spellbinding. The graphics looked phenomenal for such a small handheld system, and the flying action looked great. Easily the coolest game I’ve seen shown off at E3 this week. The game deluge didn’t stop there. Next, the Big N paraded a huge list of 3rd party supporters that we’ll be seeing throw their games at the 3DS. This list included Madden, Resident Evil, the MGS franchise, Level 5, Kingdom Hearts 3D, Saint’s Row, Team Ninja, Street Fighter IV, Ridge Racer, Professor Layton and Ubisoft, to name a few… Looks like they’ve finally turned around that notion that they don’t have any 3rd party support, hm? Wow. I am seriously stunned by Nintendo’s E3 showing this year. They’ve had a few weaker showings over the last few years, so they were about due to knock it out of the park, and Microsoft did them a big favor with their snoozer yesterday. They really just ripped the doors off the whole show, and I hear that the 3DS is so impressive in person. While Microsoft’s show was all about tech, Nintendo’s was all about games, and that’s the heart of E3 right there. All we can really say is: hope your presser is good, Sony. As was the case yesterday, we’ll be updating this post all day with links as they become available. And again, Nick did a great job live tweeting the whole thing as it happened. You should seriously go read those and follow GamerSushi on Twitter to see the hilarity during Sony’s conference. What do you guys think of all these announcements? Go! I REALLY enjoyed this one (I followed it on Kotaku) so props to Nintendo. I now want a 3DS so much (360? 3DS or a possible PSP2? I can’t decide)! I hope Sony can match this. I thought it was the best conference they have had in a while, but Goldeneye will fall on its face, it doesn’t belong on the Wii at all. The graphics look like PS2 days and the controls will pale in comparison to a traditional controller. Wow… Nintendo easily won the show for me. So many great titles to look forward to over the next couple of years. Zelda, metroid, kid Icarus… Just one question though, with goldeneye being remade for the wii does this mean that Rare is working with Nintendo again? Anyone else hoping for banjo kazooie/tooie remakes or virtual console entries? This will at least give me a reason to plug my Wii back in. Hopefully Zelda’s controls will come together. Holy hell, Nintendo. I love you again. Paper Mario on the 3DS? If it’s a straight up remake of the N64 version, SOLD. Also, Star Fox 64, Ocarina, Metal Gear Solid 3…Where was this Ninty hiding all these years? Nearly wept at Kid Icarus. @SkubaPatrol – Yeah I thought Rare had been snapped up by Microsoft too, that’s why I was a bit confused that one of their premier games was being redone for the wii. I guess I was just hoping, Rare made so many good games for the N64, was looking forward to some new entries. Kid Icarus looked so impressive for a handheld game. I really can’t wait to get my hands on a 3DS so I can see what this looks like in person.